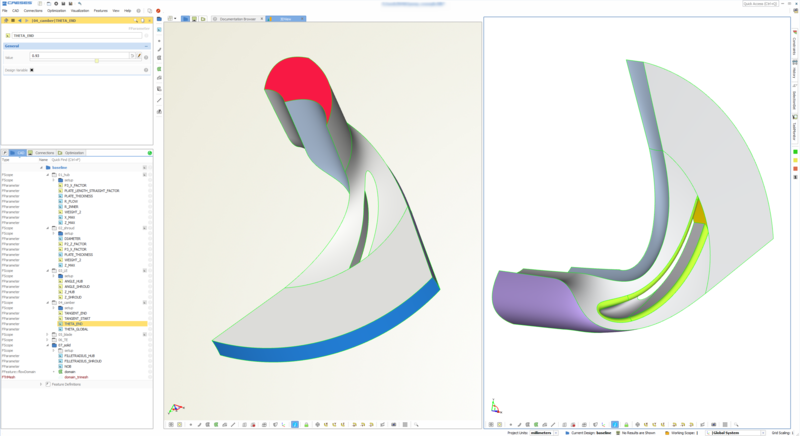 Are you using the SimScale platform for CFD or structural analysis? Are you interested in being much faster and more comprehensive with your product design? Together with our partner SimScale, we exclusively offer you a special evaluation package to fully automate your CAD, and to drastically accelerate the geometry generation process. Create large sets of different geometry candidates with a single click, ready for analysis on the SimScale platform or with other simulation tools. No tedious pre-processing is needed. Sounds good, right? CAESES is a flexible CAD and optimization platform for fast and comprehensive design studies with any simulation tools. It’s literally made for simulation experts, but also a great choice for CAD engineers that work closely with the simulation department. The integrated capabilities for geometry modeling, CFD automation and shape optimization make it an all-in-one design tool for simulation-driven design. No matter which product you want to design and optimize, and from which industry you are – we will spend substantial time on your request and help you to accelerate your CAD-to-CFD process. Get your ready-for-analysis geometry model based on all your specifications. This parametric CAESES® geometry can be directly used for manual & automated studies. 100% robust! Once the model is finished, you will receive a personal web-based training (1h) on your new model by our experts. We will make sure that you have a very smooth start with it! You will receive a full 2-months-license CAESES® with all available functionality and premium helpdesk support for a further evaluation. Includes advanced capabilities for CFD automation and optimization. The price for this full-service evaluation package is 499€*, and only available for current SimScale users. Our team will invest several hours of engineering work into your application, to provide you only the best and most efficient geometry solution! During the licensing period, you can use the model for any commercial project. No black-box models: If needed, the delivered model can be further modified and extended by yourself. Check out the contact form at the bottom of this page to submit your application. * This offer is valid until April 15, 2018. Note that the availability is subject to our review of the incoming requests and also depends on the complexity of the model. Simply get in touch with us today and give us a description of your application. The more details you provide, the better. We’ll go through it and then come back to you with a suggestion how to proceed 🙂 Fast and uncomplicated. No obligations.